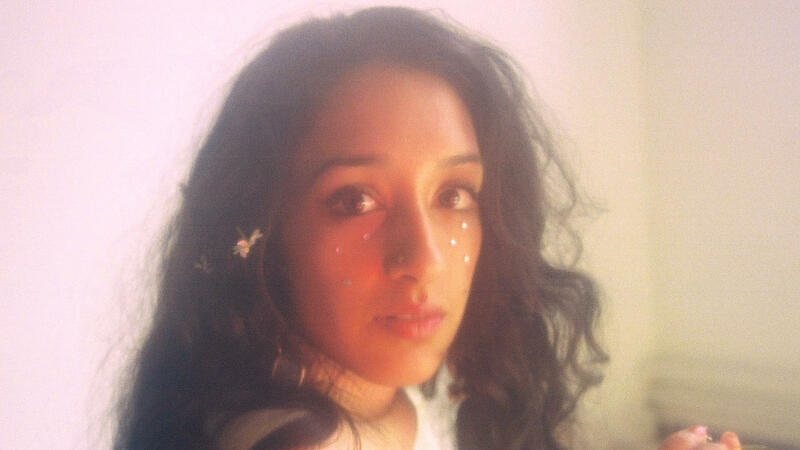 Raveena Aurora's latest EP, Shanti, is available now. Contemporary R&B is flourishing in unimaginable ways right now. And after coming off an especially fruitful year, Indian-American singer Raveena Aurora hopes to keep the momentum going. "Aimlessly going through the night/ Swimming through seven seas of lights," Aurora coos in the first verse of her newest track, "Wherever U Go." Like a bottle of good wine — the kind you lie about keeping for a special occasion, but crack open on a rainy Thursday by yourself — Aurora's silky notes linger unapologetically over Everett Orr's production and then go down easy. While the beat has all the components of a Motown-era babymaker, the airiness of Aurora's voice keeps the story innocent. The synths never compete with Aurora's message but rather wonder alongside her as she weaves her narrative of a languid, sepia-tinted dream state. "This song is about relinquishing the need for control and allowing yourself time to be free and escape from routines that are easy to get lost in," Raveena says. "When I listen to it I imagine myself driving at night through purple lights." "Wherever U Go" serves a bonus track off Raveena's most recent EP, Shanti, which the New York-based singer dropped in late last December. The lead track on the project, "If Only," is currently building steam, but it's "Wherever U Go" that will undoubtedly prove to be the hidden gem for her Day 1 fans. Aurora's 90's-inspired discography has drawn comparisons to Sade and has been making its rounds online for a while, but in 2018, the singer is looking to double her output. "My producer Everett and I are planning on releasing two more projects this year," Aurora says.